Don Young Company Storm Windows offer the homeowner a viable alternative in thermally efficient window products that can save substantial heating and cooling cost. 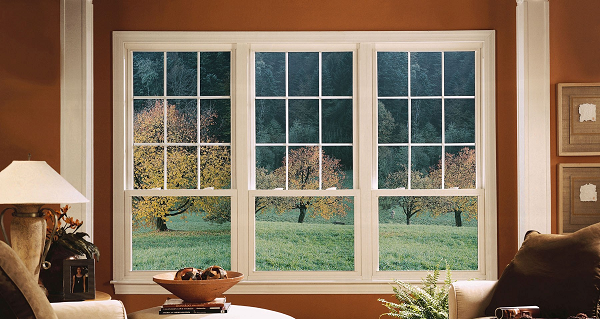 Our storm windows help reduce air, dust, and pollen infiltration and also are effective on outside sound control. They are easily installed on older and newer homes and they are custom built to each opening. The dual durometer vinyl “thermal break” reduces conduction of heat and cold. We use durable environmentally friendly power coat finishes on our painted windows. ​“Offset Design” built into main frame provides extra clearance from primary window and additional dead air space for more insulation and easier access for operation of sashes. Self-sealing “dual durometer vinyl thermal-break” around the perimeter flange aids in reducing conduction of heat and cold. “Hollow extruded main frame” with mitered, sealed corners is fastened with two screws on each corner for structural stability. “Marine glazing” wraps around glass for a positive barrier against air and water infiltration. Patented ALLER-GUARD 100® with Microban® weather stripping for additional protection against mold, mildew, and pollen infiltration. The weather strip has double mylar fins on the full perimeter of all main frame tracks and is silicone impregnated for smooth operation and includes a UV stabilizer. “Spring loaded” forced entry resistant metal sash locks ensure a positive lock on all glass and screen inserts. “Mechanical interlocking meeting rails” combined with top and bottom wind deflectors helps eliminate rattles, dust, pollen, and excessive air infiltration. “Nylon corner-key tilt pins” on sash insert corners reduce friction of moving parts, and assures quiet effortless operation. Hollow tubular frame provides extra strength and prevents twisting of windows. Extremely low air infiltration rates. DYC storm windows use environmentally friendly VOC free powder coat finishes and also available in mill finish.